There have been seemingly countless “Greatest Rock Guitarists” lists assembled over the years – for articles or books. But…what about bassists? In ‘The 100 Greatest Rock Bassists,’ author/journalist Greg Prato courageously attempts to level the playing field, single-handedly. In addition to counting them down from the bottom to the top, each entry contains info on each player – including background data, standout tracks, similar players, preferred makes/models, etc. 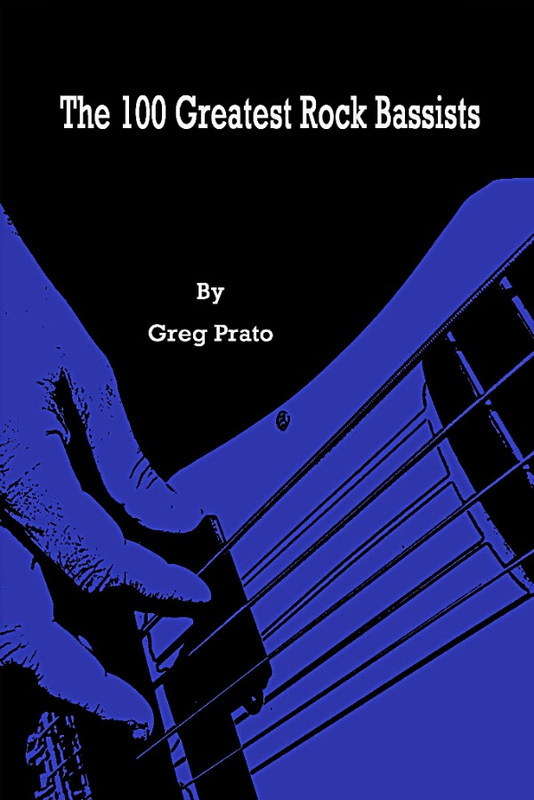 Greg Prato is a Long Island, New York-based journalist, who has written for Rolling Stone, Classic Rock, and Vintage Guitar, and has authored such books as ‘Shredders! : The Oral History Of Speed Guitar (And More),’ ‘The Yacht Rock Book: The Oral History of the Soft, Smooth Sounds of the 70s and 80s,’ and ‘Grunge Is Dead: The Oral History of Seattle Rock Music .’ ‘The 100 Greatest Rock Bassists’ is his 24th book overall.